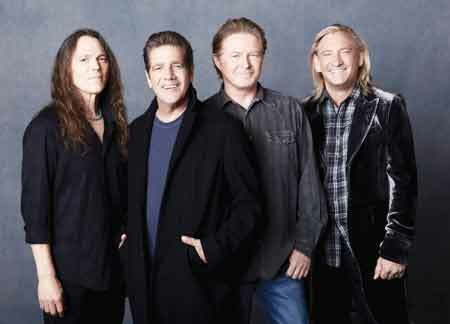 The Eagles are expected to rock Seoul with a long-awaited local concert debut on March 15. The upcoming tour, titled “Long Road Out of Eden,” is generating excitement as the two of the four original band members, Glenn Frey and Don Henley, will join Joe Walsh and Timothy B. Schmit. Over 90 percent of the VIP tickets were snapped up on the day they went on sale here. The musicians will be accompanied by not only a massive crew of some 140 people but over 30 guitars in order to provide top-notch performances. “The Eagles concert is an important opportunity for Korea to prove to the world that it has become an important music market. At the same time it will be a chance for the local industry to be exposed to the latest trends of international performances,” said local concert organizer CJ E & M.
The Eagles will perform at 8 p.m., March 15 at the Gymnastics Stadium, Olympic Park, Seoul. Tickets cost from 99,000 won to 330,000 won. Visit concert.mnet.com for more information.